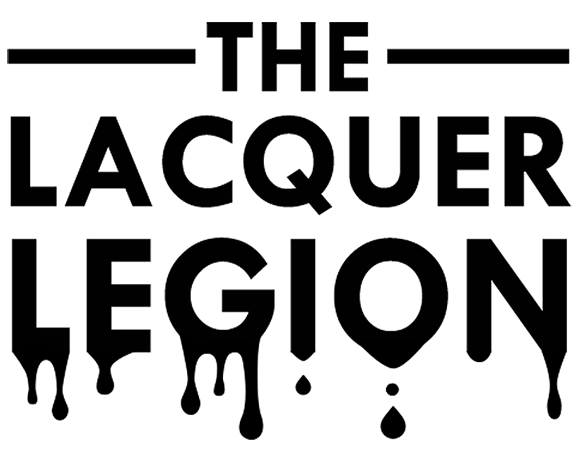 Totally pumped to be sharing my first post for The Lacquer Legion! If you haven't heard about the LL yet, check out my introduction post. Basically, once a month me and my LL pals (Chalkboard Nails, Work/Play/Polish, and The Nailasaurus) put out a theme for a mani challenge for everyone to do! And of course, we do it too. This month's theme is Reinvention. The idea I had for reinvention was to finally try the reinvented version of stamping - making decals with stamping images! A lovely tutorial was recently posted by my girl heartNAT, and once I saw it I had to do it ASAP. 1. Pick up an image on your stamper and let it dry. 2. Fill in the parts you want to color while it is still on the stamper. It doesn't have to be neat because you're actually working on the back of the design. But be careful not to bleed outside of the outermost areas. Let that dry. 3. Coat the whole thing in topcoat and let it dry again. 4. Carefully peel the fully-dried decal off of your stamper, trim the edges if need be, and apply to your nail on top of a coat of wet topcoat. 5. Add more topcoat to seal it in. Tada! I did the base gradient using Lime Crime - Parfait Day and Lime Crime - Once In A Blue Mousse. For the decal I used Konad Black, and filled it in with China Glaze - That's Shore Bright. The studs are from Dollar Nail Art. I'm loving all the components of this manicure and it is very me. Girly, but with studs also. Ha! I freakin' love this method because it opens up a lot of possibilities. It is definitely a reinvented nail technique! I'm probably going to be obsessed with this now because I just want this bow on everything. Everythingggggg. Have you guys done a Lacquer Legion manicure yet? It's not too late! 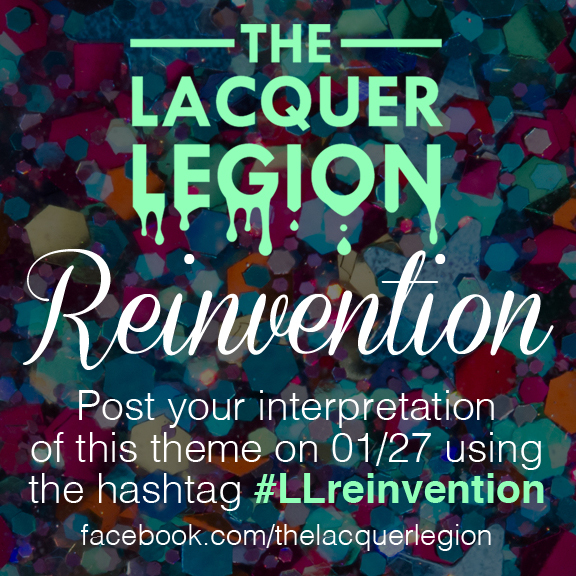 Be sure to tag your posts on social media with #LLreinvention so we can see them! And share 'em on our Facebook page. 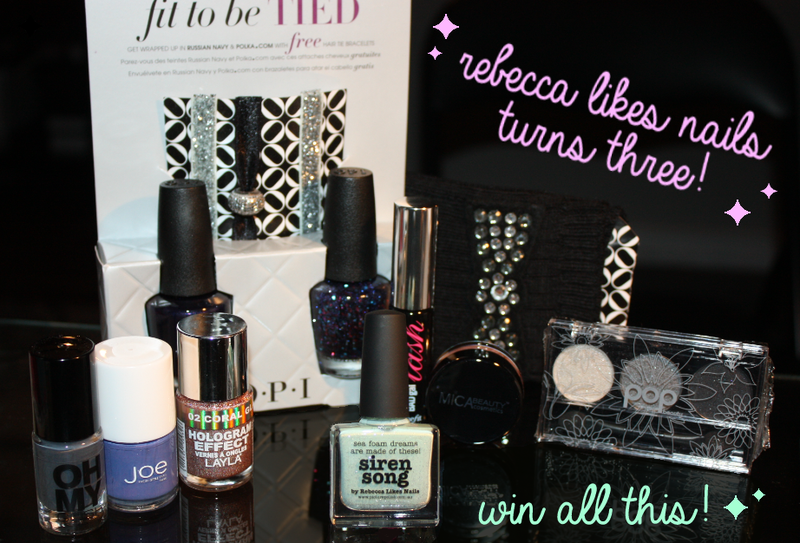 Hope you liked this post and I'll see you again shortly for the next Lacquer Legion challenge! Heeeeello! As I sit here trying to locate textbooks for yet another semester of university, I stumbled upon something different: a really old manicure I never posted. For now, a cute mis-matched-mani! My dear friend Jini sent me three of the Nails Inc Sprinkles ages ago and I wore these right away! The pink is Nails Inc - Topping Lane and the blue is Nails Inc - Pudding Lane. One look at these bottles and you know I need them, right? I've got all four of the full size colors and I really want the little limited edition Ice Cream set with the mint sprinkles polish but it was neverrrrr in stock at Sephora when I was ordering. Boo. Seeing as it was so long ago, I don't exactly remember the formula on these. But it looks like it was good? Haha! Makes me want to go put one on right now! That, or eat some ice cream. Or both. Hey guys! Today I'm going to be posting about one of Urban Decay's new relaunched nail polishes! Aren't these the most badass bottles you've ever seen? I'm in love! They're the kind of bottle that does not hide away in my drawers of polish, and they get to sit on a shelf and look purdy! Not to mention the beautiful polish within them. Urban Decay - Vice is a deep dark purple with multi-tonal shimmer showing sides of pink or blue depending on the way you look at it. The formula is dreamy, needing just two coats to look nice and smooth and rich. The bottles are so detailed, it feels like they really put a lot of effort into creating this product and I just love seeing that from a brand. That's one of the reasons I am so obsessed with everything by Urban Decay - you can just tell they love creating their products and spend a lot of time making them perfect. I legit think I should work for Urban Decay. Dreamssssssss. I am an Urban Decay hoarder and I am not sorry! Do you own any of these beauties? I'll be posting the other two that I have in the near future to keep up my new-year-new-posts attitude! Hehe!